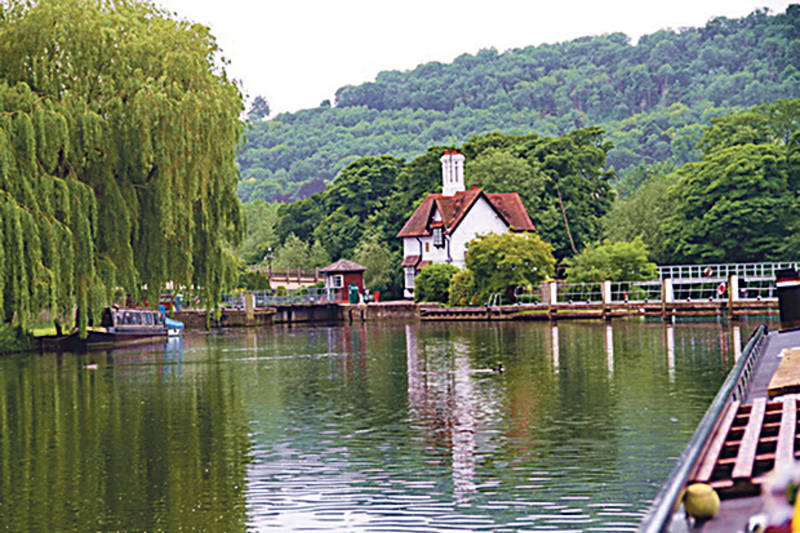 Riverside walks, sleepy villages, stately homes, fireside drinks, good pub food – this is what I love about spring weekends away in Britain. 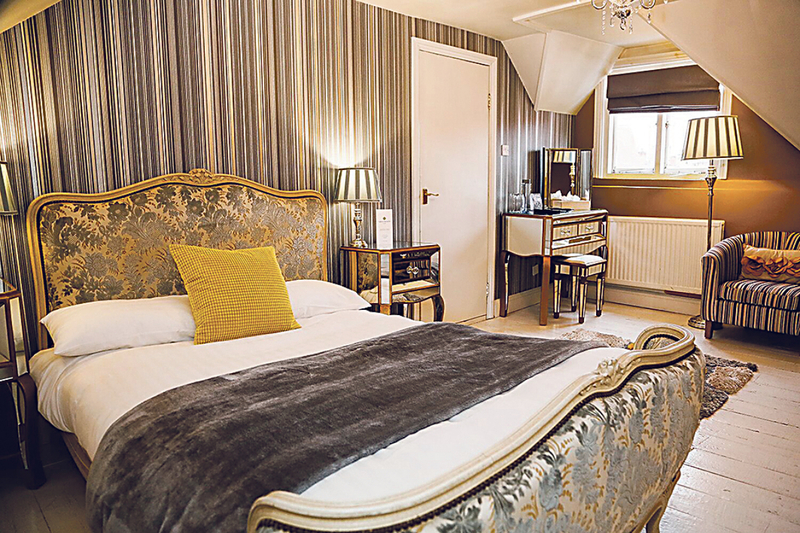 An overnight stay at The Miller of Mansfield in the village of Goring-on-Thames means you can tick off everything on that list. 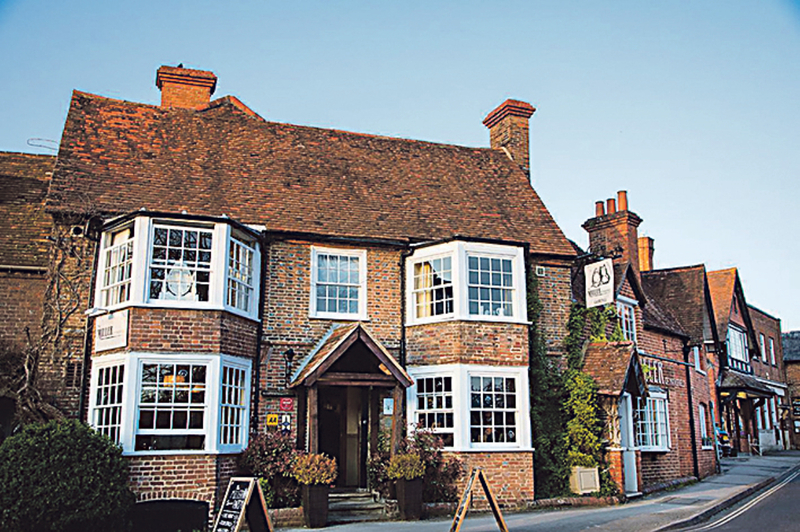 Husband-and-wife team Mary and Nick Galer, formerly of the Fat Duck group, bought the pub in 2014. Nick heads up the kitchen with a team of chefs, while Mary is front of house with a team of friendly staff. 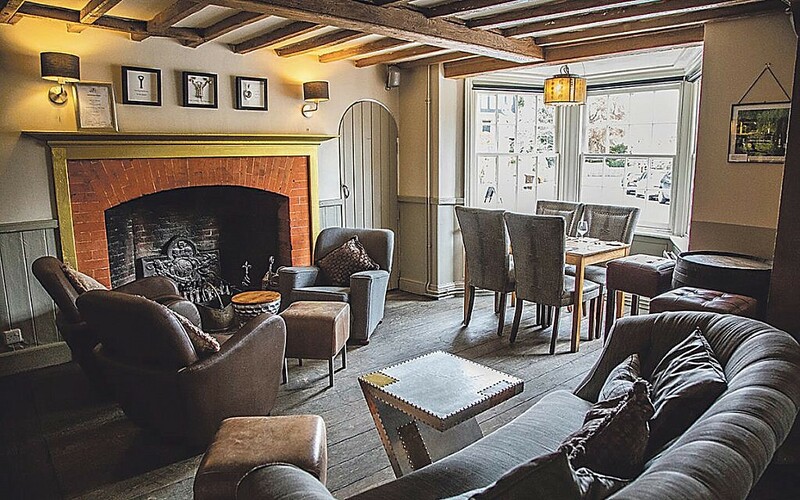 The Miller is an 18th-century coaching inn with beams and open fireplaces, a modern restaurant and 13 quirky, comfortable bedrooms up a secret flight of stairs. It’s not just a place to eat, drink and sleep – Nick runs cookery demos where the locals can learn from the master and tasting nights where new dishes get trialled. We arrived in the evening, so it was too dark to see just how pretty Goring is. But our room was pretty enough to make up for it. We were in the bridal suite, which is aptly painted in white – white walls, white floorboards – with a beautiful, ornate French-style bed and pretty touches of lilac and pink. At 7pm, the bar was full with a group of ladies, a few couples, some families, two dogs and two roaring fires (it was chilly outside!) 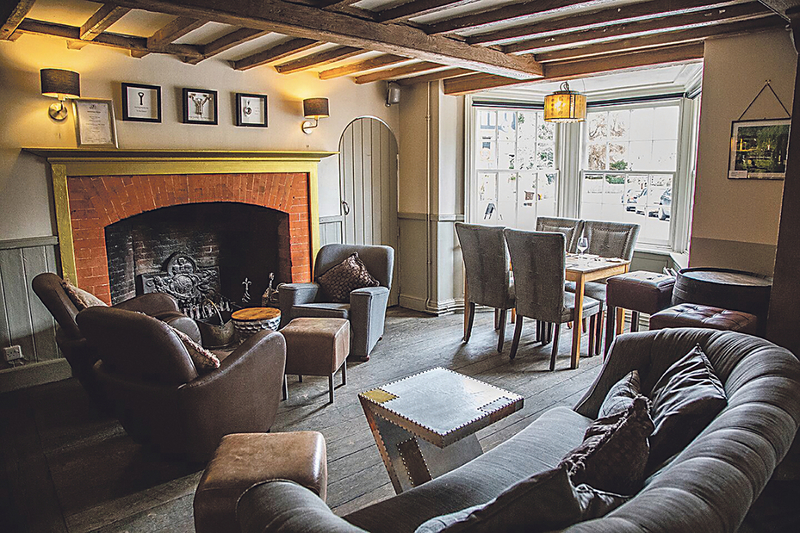 – very much a village pub. It was warm, welcoming and convivial. My request for a flavoured gin was met with too many suggestions to list – suffice to say I started with the rhubarb and finished with the lemon and ginger (the latter was served warm in a shot glass). The restaurant is small – 50 covers – but tables are nicely spaced apart. We pondered the short but far from simple menu (Nick uses intense techniques to eke even more flavour into the simplest looking plates) while enjoying lovely chewy homemade sourdough loaf with fresh churned deep yellow butter, and two tiny cheesy canapés. We started with a sea trout gravadlax with crispy quail egg, black garlic and celeriac remoulade, and a fabulous mushroom pearl barley that came with tiny weeny pickled mushrooms, black truffle and a parmesan crisp. The textures and flavours of this dish were fantastic. Among the five main course options were two fish dishes – grilled sea bream with sea greens and roasted grey mullet with layered potato and hollandaise, plus one vegetarian dish but the standout was the 35-day aged salt chamber beef (so tender, and full of flavour) with smoked potato and a side order of those simply-must-have triple-cooked chips. When it came to the dessert menu, I couldn’t see past the Miller Battenberg with grapefruit and honey yoghurt. It was gorgeously ‘almondy’ and ultra-reminiscent of childhood. Mr W, who is a chocoholic, chose an orange and salted caramel chocolate custard – only a genius could dream that one up. Breakfast at The Miller offers a simple buffet of yogurt, cereals and fruit, with hot dishes from the kitchen – buttermilk pancakes, eggs and toast. We ordered scrambled eggs and smoked salmon and were pleasantly surprised when what turned up was not the hand-sliced deli stuff but a ‘smoked’ salmon fillet! What great way to start the day. And now it was light we could see just how lovely Goring-on-Thames is. A walk along the river took us past the home of the late George Michael; The Miller was his local and the staff knew him well. I’d love The Miller to be mine, but then I wouldn’t be able to justify a night in the bridal suite.